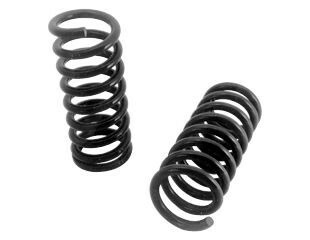 These springs are custom wound for the performance oriented customer. They feature 600-pound/inch rating and will lower the car approximately one inch from stock. Painted Black. Note: Most cars original front springs have collapsed partially and 1inch drop may not be noticed. Trimming coils may be required to get the desired ride height.